Two parked Evanston police cars. The process to create a citizen-run police review board has been extended through May. 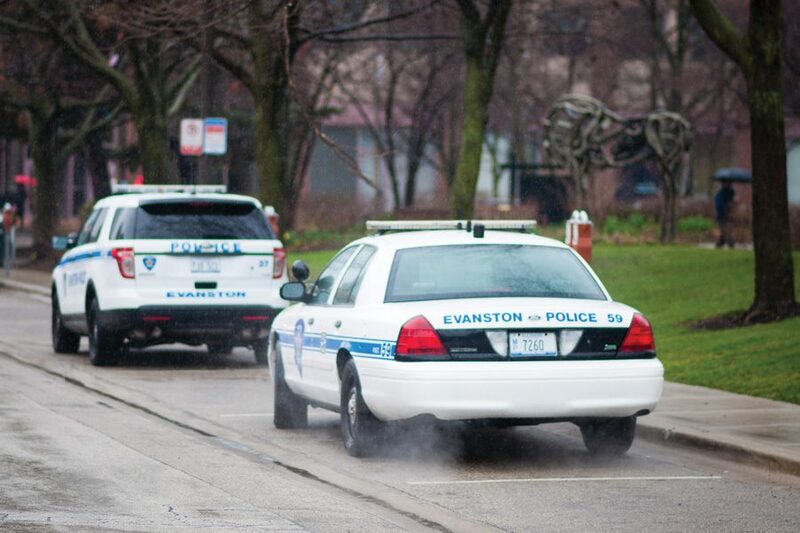 Discussion over the creation of a citizen-run committee that will evaluate the Evanston Police Department’s complaint review process has been extended to two more meetings, which will be held in April. The meetings are run by members of the Evanston Citizens’ Police Association, the Citizen Police Advisory Committee and other concerned Evanston residents who hope to finalize a plan in May to present to city officials. The new committee would be tasked with assessing EPD’s current complaint review procedures and developing suggestions to increase transparency. The committee’s creation has been discussed in a series of meetings throughout the past few months. After the two newly scheduled meetings, city manager Wally Bobkiewicz said staff will present its findings to members of Evanston’s Human Services Committee in May. Following that committee’s review of the findings, an official recommendation will be made to City Council. Since the new City Council will take office in June — following Tuesday’s general election — Bobkiewicz said he is unsure whether the final decision to create the committee will be made by the current or the incoming council. Residents began voicing their desire for a new committee after the arrest of Devon Reid as he petitioned for city clerk in November, and the January release of a video depicting the 2015 arrest of Northwestern graduate student Lawrence Crosby. In the video, Crosby, who is black, is shown being thrown to the ground as officers kick and punch him. Both incidents have sparked calls for increased police accountability in Evanston. Bobkiewicz said they have addressed a number of questions, including the size and scope of the new committee, and who will have the power to appoint members. CPAC’s members are appointed by the mayor, while the now-defunct Evanston Police Advisory Committee members were appointed by the police chief. In addition to exploring a new committee, the city has also scaled down the number of existing committees that review complaints against officers after they are investigated by EPD’s Office of Professional Standards. EPAC, for example, was dissolved on March 1. Evanston Police Chief Richard Eddington said the findings of both committees coincided so often that disbanding one was less about policy and more about perception. He said the decision to keep CPAC over EPAC was made to “announce to the public that the only reviewers would be mayoral appointments” and ensure that committee members would not investigate officers in the department of the person who appointed them. Freise said she feels a lack of transparency and accountability in the city necessitates an independent citizens’ review board.